Randolph College was again recognized as one of the nation’s “best and most interesting” institutions in the 2019 edition of the Fiske Guide to Colleges. The Fiske Guide to Colleges does not rank universities and colleges numerically, but assesses the strengths and weaknesses of what it considers the top institutions in the United States, Canada, Great Britain, and Ireland. More than 300 institutions are included. Students praised Randolph for its interdisciplinary, liberal arts curriculum. They also said the Honor Code and close relationships with faculty and others in the College community are what make Randolph special. “Professors know what interests you, and are always open to helping out with finding jobs or internships,” one senior said. “Gender and race are two topics frequently discussed as the college strives to be inclusive and transparent,” according to a senior. Another student commented that a wide variety of student organizations like the Macon Activities Council (MAC) host fun events and other entertainment outside of class. 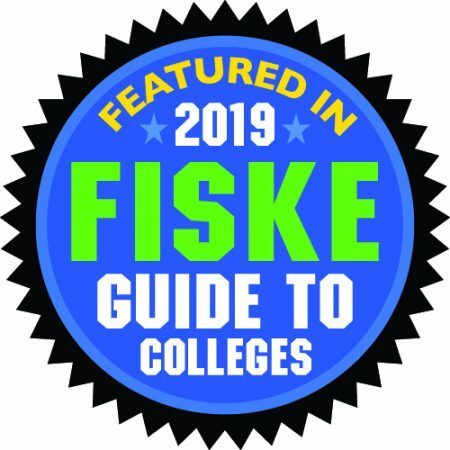 Fully updated and expanded every year, Fiske Guide to Colleges 2019 is the most authoritative source of information for college-bound students and their parents. It is compiled by former New York Times education editor Edward B. Fiske, who is one of the top independent voices in college admissions. Read more about the 2019 edition at www.CollegeCountdown.com.